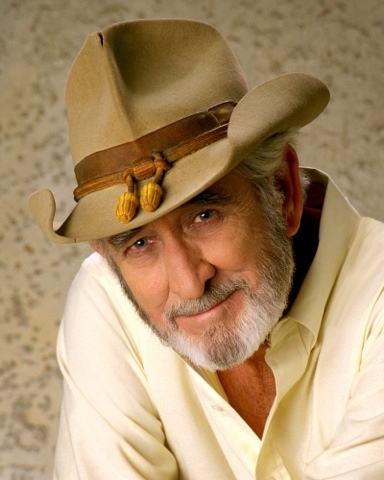 Nashville, Tenn. (January 11, 2016) – Country Music Hall of Famer and CMA/ACM award winner Don Williams, who became one of the biggest country stars known as the “Gentle Giant” with his relaxed songs and 6-foot-1-inch frame, will bring his 75-minute set of hits to 21 venues across the country. Williams will captivate crowds with the mellow tone of his smooth baritone in “Good Ole Boys Like Me," “Tulsa Time,” "Back in my Younger Days," "Louisiana Saturday Night" and identifiable sincerity in the timelessness of tunes like "You're My Best Friend," “Come Early Morning,” "Lord, I Hope This Day is Good," "Some Broken Hearts Never Mend" and many more everlasting hits. Feb 17 Florida Theatre - Jacksonville, Fla.
Feb 18 Pensacola Saenger Theatre - Pensacola Fla.
Feb 19 Tivoli Theatre - Chattanooga, Tenn.
Feb 20 Tennessee Theatre - Knoxville, Tenn.
Feb 24 The Beacon Theatre - Hopewell, Va.
Feb 25 Mountain Arts Center - Prestonsburg, Ky.
Feb 26 Peace Concert Hall - Greenville, S.C.
Feb 27 Lyric Fine Arts Theatre - Birmingham, Ala.
March 10 The Joint At Hard Rock & Hotel - Tulsa, Okla.
March 11 Walton Arts Center - Fayetteville, Ark. March 12 Baton Rouge River Center Theater - Baton Rouge, La. March 15 Hudiburg Center - Rose State College, Midwest City, Okla.
March 16 Gillioz Theatre - Springfield, Mo. March 19 IP Casino Resort - Studio A, Biloxi, Miss. April 06 American Music Theater - Lancaster, Pa.
April 12 Liberty Hall - Lawrence, Kan.
April 14 The Arcada Theatre - St Charles, Kan.
April 16 Little River Casino Resort - Manistee, Mich.